I’ve reinvented my career, my interests, my life, many times over the past twenty years. This is the book I wish I had at the beginning of that long and often volatile journey. I found when I outsourced my self-esteem to only one outcome, disaster resulted. Reinvention was the key to ensuring that the outcomes in life were positive ones. And now the entire world: technology, governments, the shifting landscapes of opportunity and success, are all turning upside down, forcing us to reinvent as individuals and as a culture. 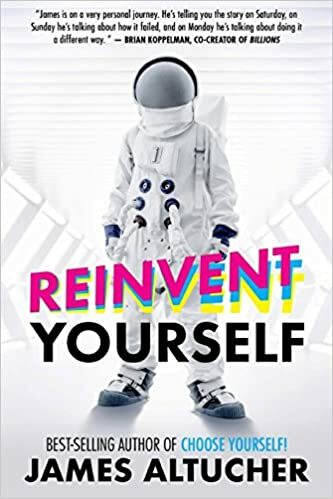 ,Along my own journey I have read and encountered dozens of other successful leaders, artists, entrepreneurs, and mentors who I have learned the art of reinvention from. This is the field guide to the “New World” we live in. You can play by the old rules and get left behind, or you can use these new ideas and become wealthy. These are the raw, best-written stories of James Altucher as he rides the roller coaster of wealth, poverty, abundance, romance, tragedy, comedy, and everything in between. From the depths of despair to revelation and honesty, these stories are James at his best in writing and rawness. He kept these stories under wraps until now. 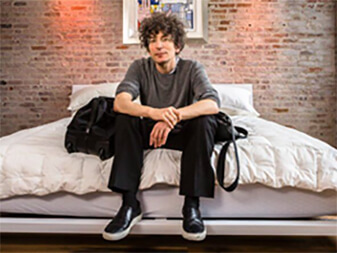 In the first comic book adapted from a blog with 300,000+ visitors per month, James Altucher reveals what it takes to be successful through his own blend of wisdom and wit packaged in neuroses. Guaranteed to invoke both love and hate from readers, the Altucher Confidential comic book shares James’ personal stories of success and failure in business and life. Young adults have a lot of energy and should use it. But the problem is that college costs have risen 1000% in the past 30 years while healthcare has risen 700% and inflation has risen “only” 300%. Colleges have made use of the myth that you can’t get a job unless you have a college education. But a rose needs space to bloom. Here are 40 alternatives to help that rose bloom. And to help keep innovation, creativity, and youthful energy alive and well. We’ve been brainwashed. We need to acknowledge this. We need to recognize who has been doing the brainwashing and work towards reversing its effects. Then, building from the core, we can learn who we really are, get success, wealth, and finally happiness. This book lays out the techniques to escape the zombie recruitment machine, expanding our personal frontiers, and finding the tools to build up the wealth of happiness inside. Building from the core you can create the luck you need, the health you want, and find the wealth, success, and happiness you seek. This book describes the techniques I’ve used throughout my life to get the luck I needed to get through both the hard times and the great times. The Wall Street Journal Guide to Investing in the Apocalypse provides readers with valuable information for investment success: the ability to see opportunity where others see peril. Whether a global disaster is natural or man-made, environmental or financial, every fearsome scenario contains the seeds of profit for the investor who stays calm and thinks rather than panics and runs. Hedge funds and hedge fund trading strategies have long been popular in the financial community because of their flexibility, aggressiveness, and creativity. This book capitalizes on this phenomenon and builds on it by bringing fresh and practical ideas to the trading table. Given the fact that Buffett’s investment career has spanned five decades and multiple styles and disciplines, is it possible to Trade Like Warren Buffett? It’s impossible to trade exactly like Warren Buffett, but with author James Altucher as your guide, you’ll come close. Hedge fund manager James Altucher examines the many new types of investments that have been developed over the past few years. Through detailed examples and up-to-the-minute advice, Altucher reveals how you can take advantage of these investments and offers a dozen strategies that can be used to supersize your returns. Warren Buffett once said that his favorite holding period for a stock is “forever.” Now James Altucher shows how to find “forever” stocks—ones you can safely buy and hold for at least twenty years. These companies will profit from broad demographic trends and can ride out any short-term market fluctuations.